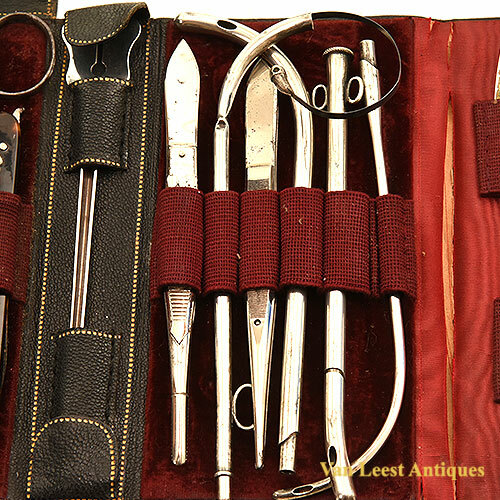 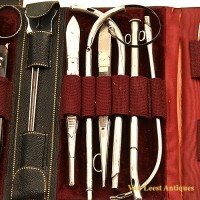 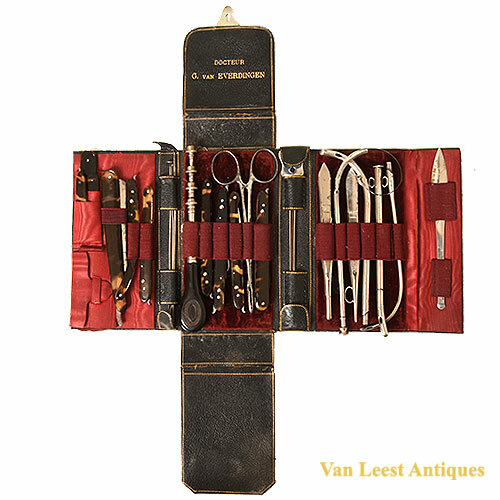 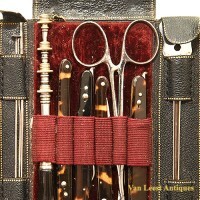 A very nice and complete Travelling surgery set in a leather case. 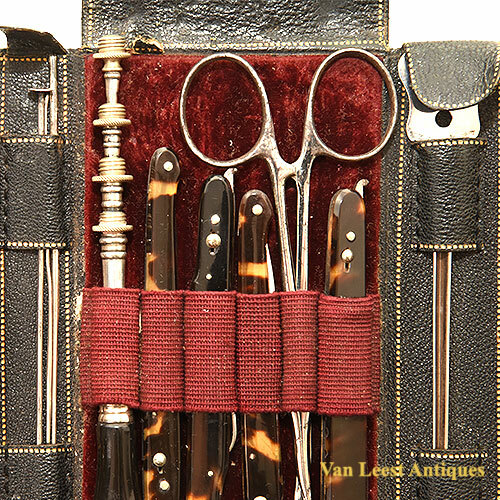 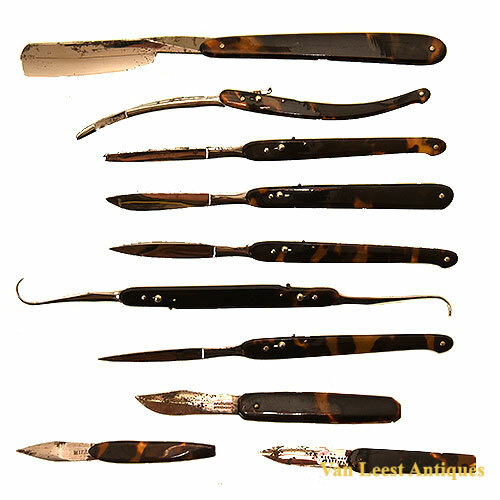 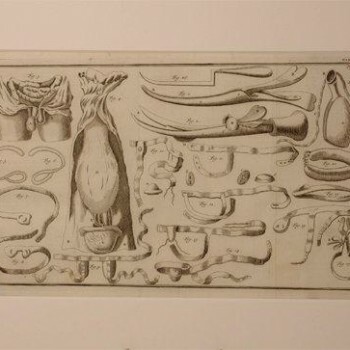 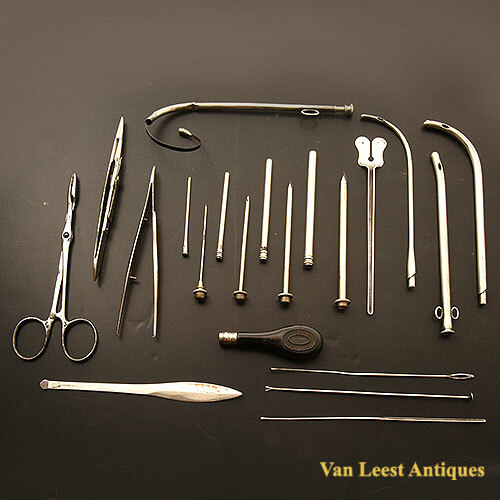 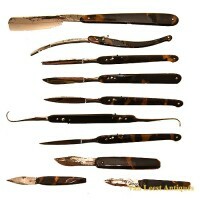 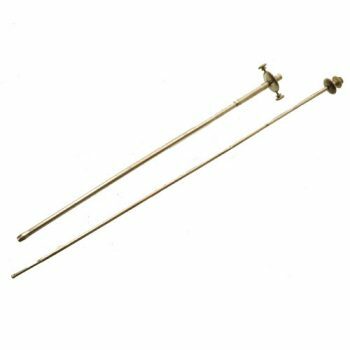 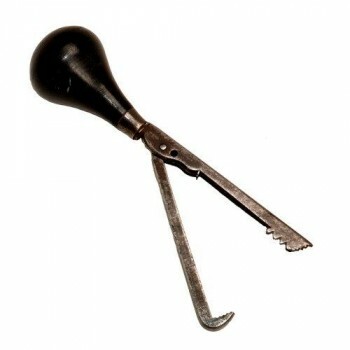 There are several instruments in the set as there is: thumb-lancets and scalpels with tortoise shell handles, trocars with ebony handle, scissor, forceps, nasal polyp remover, metaal scalpel etc. 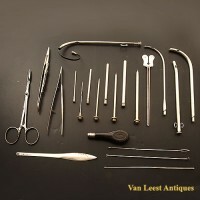 All the instruments are in mint condition. 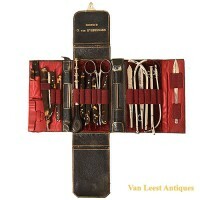 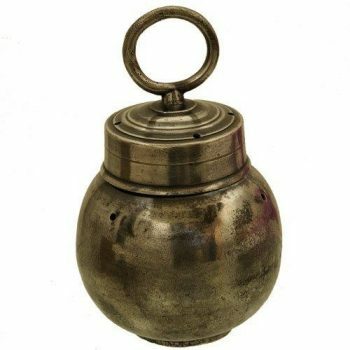 The set was used by Dutch docteur: G. van Everdingen. 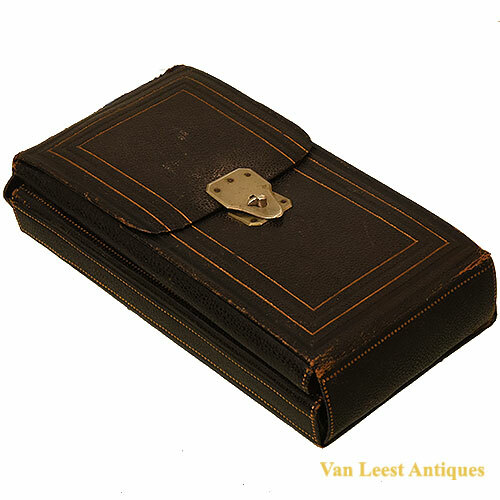 Measurement of the leather case, inside with red velvet and silk, will be 15 x 8,5 x 3 cm.